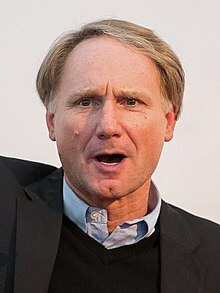 Daniel Gerhard "Dan" Brown (born Juin 22, 1964) is an American author o thriller feection wha is best kent for the 2003 bestsellin novelle The Da Vinci Code. ↑ , danbrown.com; accessed August 6, 2015. This page wis last eeditit on 15 Apryle 2017, at 14:16.